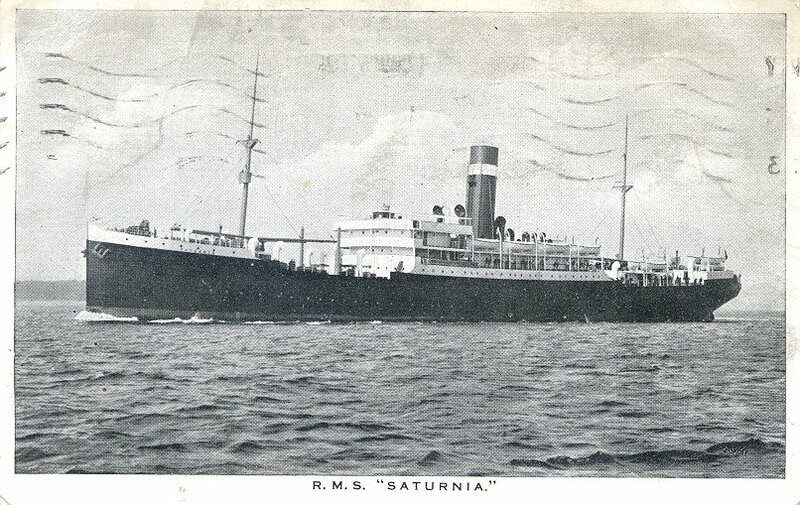 Saturnia was built by C. Connell & Co., of Glasgow. Launched in March 1910, she began her maiden voyage from Glasgow to Montréal on 11 June 1910. She remained in service until March 1925, when she made her final trip, from Glasgow to Portland, Maine. She was sold at the end of 1928, and scrapped in Italy the following year. Source: Bonsor's North Atlantic Seaway.